The links between climate change and human rights are more widely accepted than ever before. The Human Rights Council has adopted a series of resolutions calling attention to the effects of climate change on the full enjoyment of human rights, and the Conference of the Parties to the UNFCCC has also recognised that ‘the adverse effects of climate change have a range of direct and indirect implications for the effective enjoyment of human rights.’ While climate change impacts have implications for the human rights of individuals in all parts of the world, it is well established that the rights of those in already vulnerable situations are at particular risk. As sea levels rise and extreme weather events increase in frequency and magnitude, more and more people in such situations are expected to be displaced by disasters, some of them across international borders. And yet, despite a growing recognition of the human rights implications of climate change, including in the context of human displacement, and despite an understanding that adherence to international human rights commitments and principles can help to strengthen policymaking in response to global warming, relatively few concrete steps have been taken to bring a human rights perspective to climate negotiations. 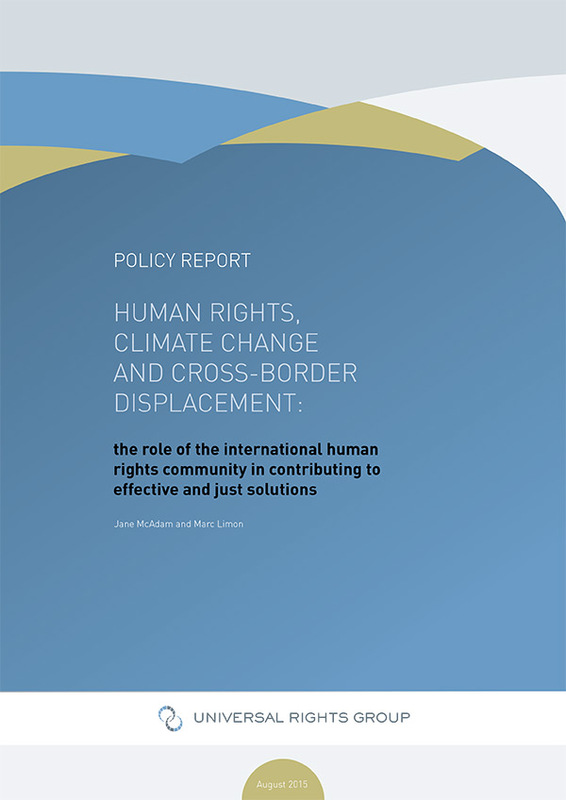 Likewise, beyond expressing concern about a possible human rights protection gap for the increasing number of people who are expected to be displaced across borders in the context of climate change, the international community has not done enough to consider how to fill that gap. This Policy Report is an important step towards clarifying what UN bodies can and should do to begin to safeguard human rights against the effects of climate change, including in the context of human displacement.